← “A WILD INHERITANCE” now out on Amazon! Hello and Happy 2014 to everyone. As promised in a previous blog, I’ve been working on writing children’s books, as a sort of legacy for my grandchildren to enjoy. I’ve been busy with MISTER ORANGE over Christmas, and have created two little rhyming picture books on my iPad, which my three grandchildren have approved. 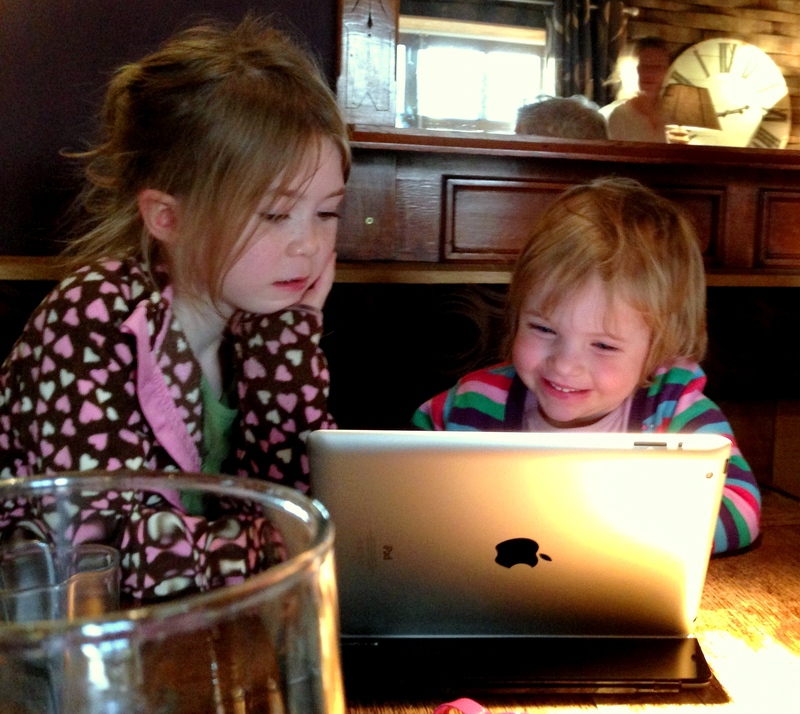 Well, the 3 and 5 year olds anyway, the 9 year old understandably not so interested! 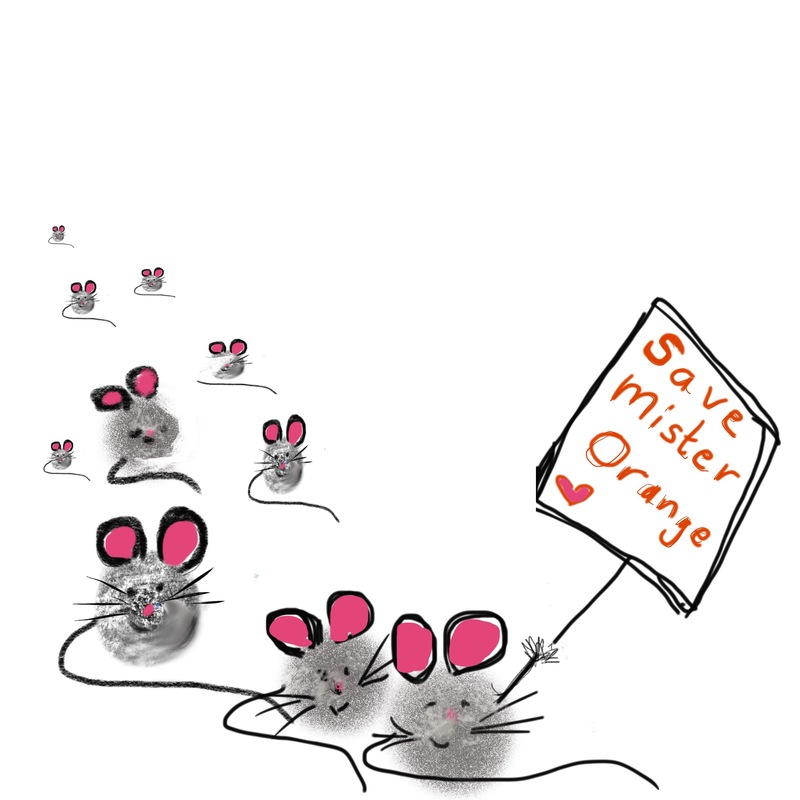 So who is MISTER ORANGE? MISTER ORANGE is a real marmalade cat, with yellow eyes and white whiskers, who lives with my grandchildren. By day, he is a bit boring, sleeps a lot, eats food, pops out to the garden, then sleeps on the sofa again. But on Friday nights, he goes out and has adventures. Unlike other cats in his neighbourhood, he doesn’t hunt, kill and eat small furry creatures, he is kind to them and treats them as his friends. This odd behaviour earns him enemies within the local cat community, his most scary adversary being Caspar, the chief alley cat. In the first book, “MISTER ORANGE, The Cat Who Was Nice to Mice”, Caspar stirs up trouble with Queen Canterbelle, and gets MISTER ORANGE locked up in the tower of the Queen’s gloomy castle. Luckily his little mice friends come to the rescue. 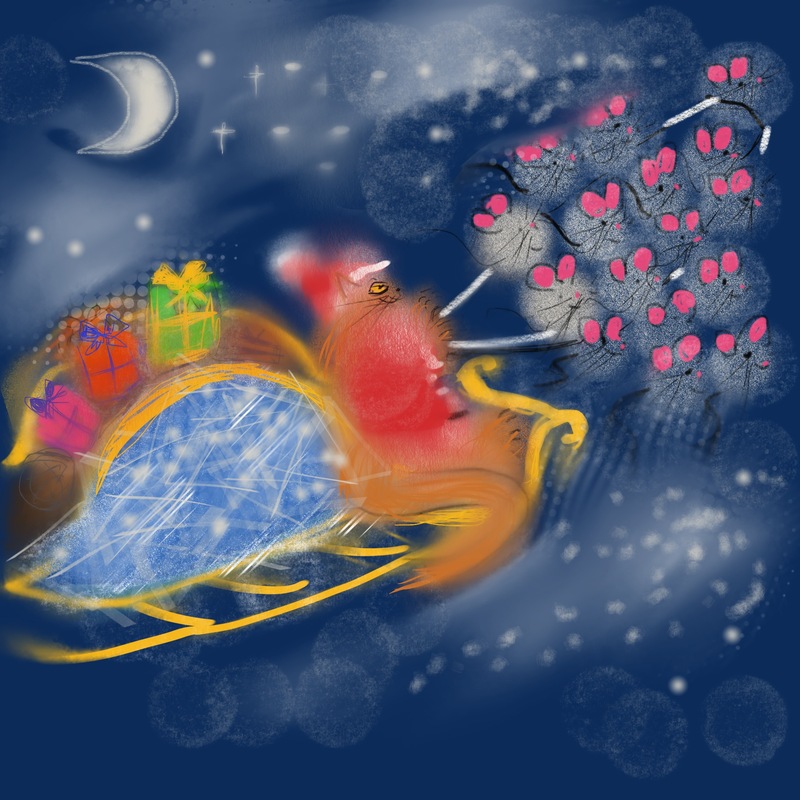 The second book in the series, “MISTER ORANGE, The Cat Who Saved Christmas Day” went down well on Christmas Eve; Caspar sabotages Santa and his elves and reindeer, so MISTER ORANGE and his friends have to take over delivering all the presents. The third book is still a work in progress, but in”MISTER ORANGE, The Cat Who Baked Cakes for the Queen,” Mister Orange has his own tea rooms, and Caspar plays dirty tricks involving cupcakes and spiders, causing Mister Orange serious embarrassment. They are in either pdf. or epub. format, so can be downloaded and read on Kindles, PC’s or Mac’s/iPads from an excellent website called Gumroad.com. I’m still waiting for Apple support to advise me why the uploads to iTunes keep failing, but when that’s all sorted out they’ll be on iTunes as well. I’ve had fun making up the rhyming couplets and doing the illustrations. It’s made a complete change from writing contemporary romance. One of the best things was seeing the expressions on the children’s faces when they first read “The Cat Who Was Nice to Mice’ on my iPad. 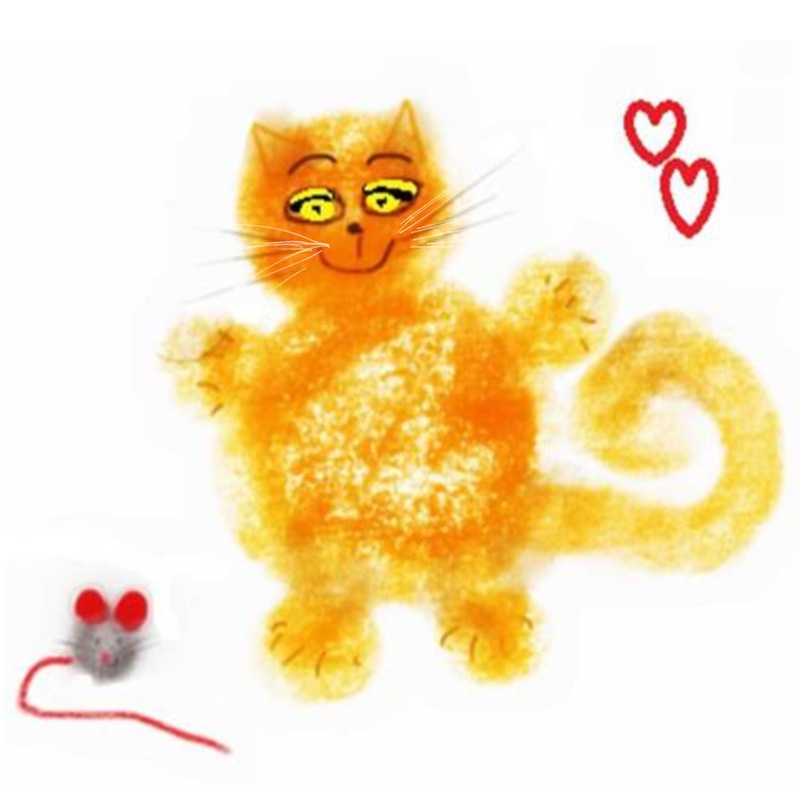 That said, it’s time to stop playing around with orange cats and cute mice and get back to my other work in progress, BREAKING VOWS, the second book in the Roundwell Farm trilogy. Victoria is pregnant again, Jessica and Andy are having marital problems, and Daniel the local celebrity chef is irresistible to every female in the vicinity. Pity he’s gay… or is he? This entry was posted in Children's picture books, Uncategorized and tagged 0-6 reading, Amazon Kindle, author, blogger, Book, books, Breaking Vows, children's picture books, Christmas, contemporary romance, digital, e-book, e-book publishing, e-books, EPUB, fiction, grandchildren, gumroad.com, HM&B author, iBooks, iTunes, love stories, Melting Ice, Mister Orange, pdf, Publishing, re-formatting for e-books, reading, romance, Rosalie Ash, Roundwell Farm trilogy, SCBWI-BI, South Warwickshire, The Cat who was Mice to Mice, writer, writing. Bookmark the permalink.